Emotional Intelligence is the ability to understand and express your emotions and at the same time having an understanding of the emotions of others. It’s a significant factor to one’s personal and professional success. It gives you a better idea of the variety of emotions that people are feeling. How you react to them, whether with empathy, sympathy, jealousy, bitterness, anger, etc is all dependent on your own emotions. In this guide, you are going to get a real education on what emotional intelligence truly is and how it affects our everyday lives. There are several keys which include the perceiving of emotions, using them for your benefit, and managing your emotions. You’ll learn how to be more honest with yourself, how to communicate more effectively, how to achieve your best potential and much more. It’s never ideal to make decisions when feeling angry or upset. Much like it’s not good to make decisions when excited or jubilant. Emotions on either end of the spectrum can have a considerable impact, positive or negative, on the decisions we make. This guide explains it all in great detail. 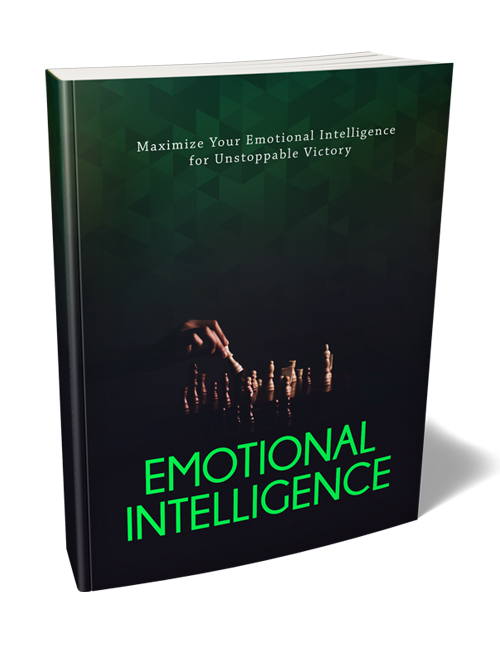 You can also get the Emotional Intelligence videos with this ebook. Get it now.